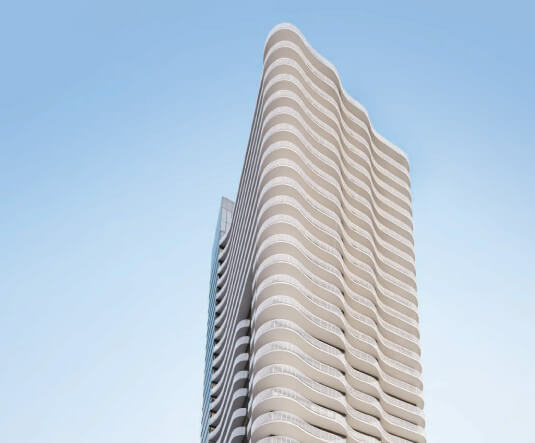 Located at Yonge and Finch, Azura is nestled within North Yonge, one of Toronto’s most flourishing neighbourhoods. Only steps to Finch Station, everything you need is close to home. Boasting a highly connected address, it’s conveniently situated steps from Finch Station, servicing VIVA, YRT, GO Transit, and TTC. Azura promises a life within reach. The project builds on the best of North Yonge to create a residence of elevated luxury. It’s all clear skies from here. Moreover, living at Azura means enjoying a world of wellness at home. With a yoga studio, gym, golf simulator, kids imagination space, party room, chef’s kitchen, and outdoor lounge, you’ll discover every day is full of life here at Azura. Azura promises the best that life has to offer. Cook like a pro in the chef’s kitchen, or simply enjoy time outdoors on the expansive terrace with a fireplace, lounge seating, tables, and an outdoor cooking area. With a long list of design-forward iconic developments across Canada, the international beginnings of Capital Developments tell the full story. CD was founded by Todd Cowan and Jordan Dermer after a lengthy development career across Europe. As the Chief Executive Officer and Chief Development Officer, respectively, of TriGranit Development the two were instrumental in the development of over 10 million square feet in Europe from 1996 to 2006. Prior to this, both were executives at Trizec Properties performing asset management, acquisition and leasing across Canada. DISCLAIMER : Square Yards Real Estate INC Brokerage does not represent Capital Developments and is a 3rd party brokerage. Brokers protected. Illustrations are artist’s concept. Specifications are subject to change without notice. All brand names, logos, images, text, and graphics are the copyright of the owners Capital Developments, *Conditions apply. Limited time offer. Reproduction in any form, without the prior written permission of Capital Developments, is strictly prohibited. E. & O. E.